MY JOURNEY to the island of Nkombo, deep in Lake Kivu, started in Kamembe town, dozens of kilometres away. The road from Kamembe, the main city of Rusizi District, to Nkombo is dusty and sometimes becomes a dark cloud of dust caused mainly by trucks transporting sand and construction stones. En route, women and girls carrying heavy loads on their backs move in groups of two or three. This is a common practice of carrying heavy loads in this part of the country, a practice common among the Congolese nationals who live on the other side of the border. For about three hours, the women will trek the dusty road carrying a variety of goods-including foodstuffs and cement, among others. Some of them earn just peanuts from their services. Vestine Turinabo, a woman in her mid-thirties, said she is paid only Rwf500 to carry a 50-kilogramme cement bag from Kamembe to Nkombo. Nkombo Island is approximately 11 Kilometres from Kamembe town and 679 metres away from the shores of Lake Kivu. 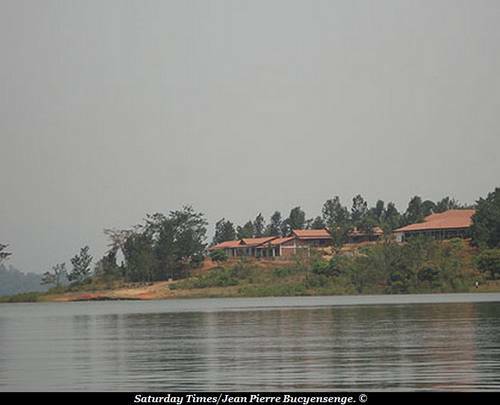 The Island, which is one of the 18 sectors that make up Rusizi District, covers an area of 21 square kilometres and is inhabited by about 17,000 residents. As I reached the shores of Lake Kivu, at a popular place called Busekanka, I boarded a canoe with three other individuals. One of them was a secondary school girl going to attend classes at one of the three schools on the Island. The 10-minute boat ride seemed like it took forever. For a first time traveller in a canoe, thoughts of the boat sinking kept sweeping through my mind. Matters were made worse when the school girl seated next to me exuded extreme fear despite being a regular user. “I fear crossing this lake. I always think the canoe can sink anytime,” the girl later confesses as we reached the other end of the lake. But we arrived safely. According to our skipper, who identified himself as Niyonsaba, it is common for visitors to exude fear. “But we keep telling them to calm down. Indeed there are not a lot of accidents here,” he insists as we moved through the deep waters.